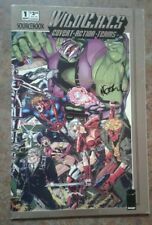 WildC.A.T.S Sourcebook #1 (1993, Image)Signed by J.Lee & M. Golden Includes COA! 1 product rating - WildC.A.T.S Sourcebook #1 (1993, Image)Signed by J.Lee & M. Golden Includes COA! WildC.A.T.S Sourcebook #1 (Sep 1993, Image) Jim Lee Art! 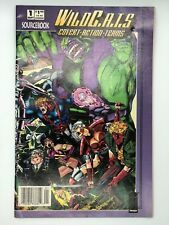 1 product rating - WildC.A.T.S Sourcebook #1 (Sep 1993, Image) Jim Lee Art! WildC.A.T.S. #4 CGC 9.8 (1993) HTF in 9.8! This page was last updated: 20-Apr 05:45. Number of bids and bid amounts may be slightly out of date. See each listing for international shipping options and costs.